She will no longer be able to inhabit many of the edifices she built in prosperity. As the number of her adherents diminishes … she will lose many of her social privileges…. As a small society, [the Church] will make much bigger demands on the initiative of her individual members…. While I was reading this my thoughts ping-ponged back and forth. The coming trials ahead will be challenging for the faithful to say the least, but the winnowing process will test our faith and those who cannot stomach Catholicism any longer will leave. Souls will be lost. This will be a deep tragedy. But upon this rock is built Christ’s Church, and the gates of hell will not prevail against it. We may die in the process, literally or figuratively, but the Church will stand. Christ will win. We are soldiers in his battle and we have to prepare ourselves for it, which we are already engaged in. So, prepare yourself with prayer, fasting, charity and deep kindness toward others. Cut out what is not necessary. Focus on your family, especially the children who someday will be deep in the battle. We have to prepare them, and ourselves, for the coming trial. The Enemy does not rest, and we cannot either. In my travels online I came across a blog from a woman who is chronically ill, has not been practicing her faith, yet is interested in enrolling her son in CCD. Her son is not all that interested. Because of her illness she has a hard time getting to Mass. I decided to comment about how she should be fostering her faith too. I thought I would share it with you. If you know someone who is just starting to come back to the faith this may be a post that you can share with them. Now, in regards to your son: In normal circumstances, most children do not desire to go to church. Just like they don’t want to do their math homework or clean their room, they don’t want to sit in a pew for an hour. This is normal. It is our job to train them that there are some things that we have to do even though we may not understand why. Someday they will understand. For some people that takes longer than we think it will. Your son needs to learn there is a God that is madly in love with him and he needs to foster that relationship. Christianity (and Catholicism in particular) is all about fostering that love relationship. Many times we Christians don’t come across the right way, but that is truly what it is all about. Remember “God is Love” and He wants to shower us with His love and blessings. Taking your kid to church is guiding him in the right direction, not “Forcing it on him.” It is bringing him in contact with the Lord, so He can bestow His blessings. Next, try to get to Confession. This is a starting thing – get rid of all the baggage you have collected probably most of your adult life and start fresh. Sin weighs us down and makes it harder to move on. Most Confessions happen on Saturday afternoon, but for you, especially since you have not been for probably years and years, call and make an appointment with the priest and go see him. Ask for an hour appointment if possible. If for some reason you get a difficult receptionist (Church office ladies are notorious for being difficult for some reason) or you are uncomfortable in some way, then call another parish. 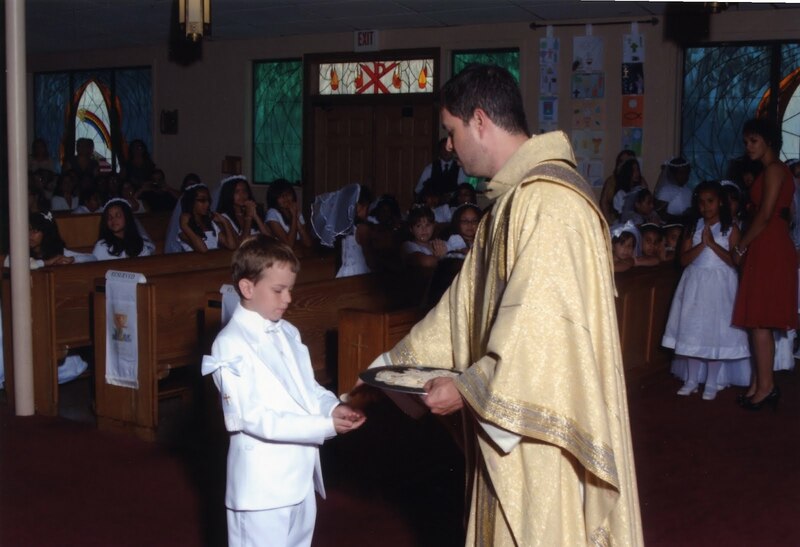 Then you can not only go to Confession without the constraints of time, but you can discuss with the priest your spiritual life in general and how you want to bring your son up in the faith. Here is a Guide to Confession. The next thing to do is buy a Bible. 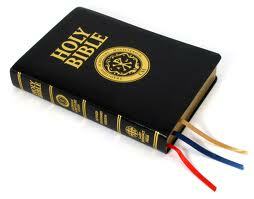 Get one you will read, preferably Catholic so it has all the books of the Bible. I really like the New Catholic Answer Bible because it is inexpensive and has a LOT of good information in it. Start in the Gospels (that is Matthew, Mark, Luke or John in the New Testament). Mark is good to start with because it is short and riveting. Read just a little every day and maybe take a couple of minutes to think about what you read and talk to God about it. Make it pleasurable: get comfortable, light a candle, be in a quiet place. But, no pressure, you can read it anywhere. You may also consider praying the Rosary. Any parish and serious Catholic has probably tons of Rosaries floating around if you don’t own one. You can get one at many places. Here is How to Pray the Rosary if you don’t remember: Ask Our Lady to pray for you. You don’t have to pray the whole thing at once; you can pray a decade at a time if you want. These are all starting things, baby steps. When you talk to the priest then start asking about help. Help to get your child to CCD and church. Perhaps a mother’s group would be a good starting point. Perhaps he could car-pool with a family. Or maybe call the Director of Religious Education and explain the situation and what would be best to do. ASK, don’t be worried about putting people out. People WANT to help others, but many times don’t know how. Take it how it best feels for you and foster your relationship with the Lord, and at the same time talk to your son and tell him how important it is for all of you to welcome God into your life. Good books were important in my coming back to the faith. Surprised by Truth is a great book you may like. Catholicism for Dummies is another. I just finished reading a book called Wrapped Up: God’s Ten Gifts for Women that you might like. It is easy to read and one of the authors is chronically ill and talks about how that affects her relationship with God. And you might be interested in my blog, LiveCatholic,net that has lots of resources for Catholics. I don’t get the chance to write very often, but you may find the info there helpful. In fact, I may just post this comment on my blog, so people actually know I’m alive! So, do you have any ideas on welcoming people back into the Church? What helped you if you are a revert or convert? Do you have any advice for a chronically ill person who wants to come back, or wants to introduce the faith to their children? My 9-year old son and I just came back from Mass this morning. In the announcements, at the end of Mass, the Respect Life person for our church got up to invite people to an event being held next week, and mentioned a clinic next to a hospital where “they kill babies.” Well, my son and I have not really had a discussion about abortion and he did not really know what that word meant. But he knows what “killing babies” means. He was astonished. “They kill babies in hospitals?” “They are not supposed kill babies in hospitals. They are supposed to help people.” Yes…they are. He wanted an explanation right away, but we had to at least wait until we go outside the church. I explained that sometimes mommies with babies in their tummies don’t want them, or that they feel they cannot take care of them, so they have a doctor take the baby out of their tummy and kill them. He cannot understand this – and neither can I.
I remember my older son and his reaction to this information, “Why would they want to kill a perfectly good baby?” My youngest had a similar reaction, but what he said today was, “I’d want to live.” What else is there to say. Well…I wanted to post last night, but trying to get ready for my flight AND make sure that the family was all ready for my trip took more effort than I anticipated. Mom leaves and everyone is in a dither. But all is set up and I left on the jet plane and now I’m in Dallas!!!! Dallas is where the Catholic Marketing Network Convention is, as well as the Catholic Writers Conference and SQPN’s Catholic New Media Convention are, all at once and all in one place, the Arlington Convention Center. I hope to rub shoulders with some of my favorite people like Lisa Hendey, Fr. Jay Finelli (the iPadre) and one of my favorite Catholic bloggers, Jennifer Fulweiler of Conversion Diary. My other favorite blogger Simcha Fisher won’t be here, but I am wowed just the same. Right now I’m in DFW airport waiting for my friend Gail to arrive and we will go on to our hotel. I had some fantastic Huevos Rancheros, took the cool Skylink train to Gail’s terminal, and NOW I’m using the free public terminals because apparently ATT WiFi for my iPad does not get here until next week. So forgive me for my lack of links and pictures. I haven’t figured out how to do that quickly on the public terminal. Everyone here in Dallas has been incredibly nice and helpful and the one thing I have noticed is that, at least in the airport, bathrooms are called toilets. As in Women’s Toilet, Men’s Toilet etc. I’ll report if I find any other cultural differences. Well, I don’t want to be a computer hog and I’ve already been “rebooted” once. I’ll check in hopefully later! Adios! In light of today’s Supreme Court ruling, I wanted to tell you something that I thought of when I awoke this morning. I think it is important to remember that even though things seem to be getting worse day by day and hour by hour in our society, both here and abroad, we have to remember that God has a plan. Frequently, when God has a plan things get worse for a long time before things are made better. It seems like human beings don’t really “get it” until something becomes truly horrible – when a true impression is made. Roman society slipped downhill for hundreds of years and it took hundreds more to rebuild from the decadence and hedonism and evil that went on then. That is happening now. And we have to trust God and his plan. With so many fronts being made – refusing conscience clauses, pushing gay marriage, millions of babies dying in abortions, etc. we have to trust God and His plan, and stand firm. We have to pray and try to see how we as individuals, and as communities and societies, fit into that plan. When even Oreo cookies are against us – and Target, Starbucks, JCPenney, etc. have sided against traditional values, we have to remember that God is in our corner and we have to trust him to lead the fight. So don’t be discouraged, because God is much bigger then the Puppet-with-a-Hidden-Master-Obama, Pelosi, and the like. God is in control. Can you hear the applause!!!!!! At least from me. I’m so proud of you to stand up and say what needs to be said. All I remember from my Confirmation time was the fact the SSJ sister would not let me use the confirmation name of Lydia because she said it was not a saint’s name. She was pretty upset when I brought her evidence Lydia was St. Paul’s first European convert. At the time my attitude was “I showed her.” Instead I should have been counseled that I really should pick a saint that I had great admiration for because of their heroic virtue, not because I got the name from a Gothic romance novel I was reading at the time. You are SO correct that CCD is a waste of time for so many kids. Our former pastor wanted to delay Confirmation until the fall of the kids’ 9th grade year to keep the kids in CCD and the mandatory(!) Youth Group for a longer time, instead of letting them receive in 8th grade. Well! You would have thought the sky was falling how ticked off the parents were that the kids still had to go to Religious Ed for an extra 6 months! Some left the parish and others waited it out until the pastor moved to his new assignment and a new pastor came in and put the schedule back to where it was before. No where did anyone really mention that Religious Ed should be a life long endeavor and that you can’t stop learning about your faith. Our bishops use the sacraments as a carrot to get you to continue in Religious Ed as long as they can get you to come, knowing the minute it ends you won’t come back. And rarely in Church do I hear that you should have a great love for the Man who loves you best. The “personal relationship with Jesus Christ” the protestants talk about. I read about the early Christians and how even children were martyrs for the faith. Where is that faith now? Perhaps you see it in China or the Christians in the Middle East that are persecuted, but it is a rare thing here. We sacrificed a lot to send our oldest to our poor little parish school which eventually closed the year my son graduated 8th grade. He moved onto Catholic High School and will graduate this coming year. 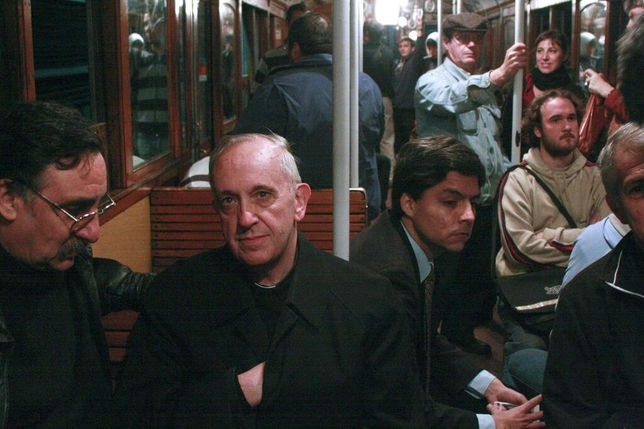 He knows quite a lot about Catholicism. Does he or his friends have faith – no. The school tries I think, but it is hard to overcome a culture. And you are right – Catholic schools are essentially private schools for middle class kids. Parents sometimes almost go bankrupt to send their kids there. Is it worth it? I’m not sure. We wanted a good “Catholic” education, but more importantly did not want him in the gang and drug infested public school with the high percentage drop out rate. 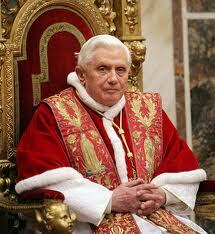 It is a great well-run family school and we are blessed to have him there, but will he have faith – time will tell. My other son is 9 and in a charter school because we just could not afford two tuitions. The CCD people try, but I was told by people in the know that if I wanted to homeschool him for CCD it would be better. Many of the CCD teachers are teens – is that really what we want? I think we should give the sacraments as babies (except Confession) and then instill in people that learning about Christ is life long. Then support it by having good programs: bible studies, studies on Church documents, programs to teach Lectio Divina and other ways of prayer (if you see how many people sign up for Centering Prayer programs and Christian Yoga you see the hunger people have – why not give them real teachings instead of crap.) What it really takes is strong decisive bishops and priests who are not afraid. We are seeing more of that and hopefully in the future things will change and other priests/bishops will get just as ticked off as you. The problem is the present. How many souls will be lost because we have to do this silly CCD model and we have at least two generations with a religious education of fluff. Please join my friends and I while we pray a novena for the election coming this November. We will be praying the following short prayer from February 6th to November 6th. We all know how important this election is. If we all petition the Lord for his help he will help guide people in making the right choices for our country. Fasting would make this prayer even more powerful. Post it where you’ll see it. 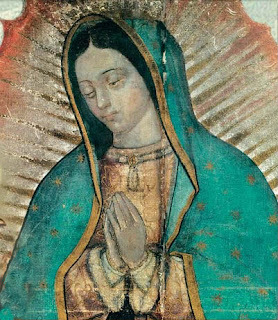 O Virgin of Guadalupe, Your appearance in Mexico changed the course of history. Human sacrifice ceased and millions were converted to Jesus Christ. Pray for our nation now. Guide our elections through your gracious intercession. Change hearts and minds to uphold the dignity of all human life. 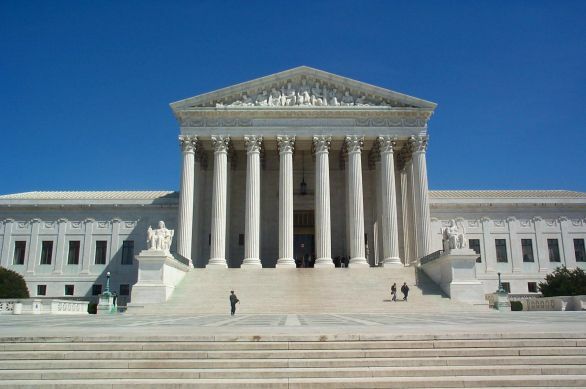 Stem the tide of moral degeneration and defend the sanctity of marriage. Protect our nation from terrorism, war, and natural disaster. May goodness triumph over evil. May candidates committed to God’s truth be elected and re-elected. And may our nation prosper, through Jesus Christ, Our Lord. Amen. The HHS Mandate to force Catholic institutions to pay for sterilizations/abortion inducing drugs/contraception is a freedom of religion issue. The bishops have vehemently and forcefully said we WILL NOT COMPLY. This will mean that the institutions will have to drop healthcare coverage for all employees and face a stiff penalty for not following this unjust law. The Obama administration is deliberately doing this to weaken the Church and cut it out of health care. The fact that he is willing to do this in an election year means he thinks he can get away with it – mostly because it is about contraception. He thinks Catholics will capitulate and this shores up his base voters. But this is a strong attack on religion and it is only the start. If this is allowed to continue, other beliefs of religious people will be under attack if the elite in the gov’t do not agree with it. Other freedoms are at stake if we don’t stop this now. “the ministry of Jesus Christ himself” would not qualify for the exemption. Nor will Catholic Charities, Catholic Relief Services, Catholic hospitals, food banks, homeless shelters, most Catholic schools, and even many or most diocesan offices, much less Catholic business owners who strive to conduct their businesses in accordance with their religious beliefs. The USCCB (US Conference of Catholic Bishops) has an Urgent Action Alert and lots of important information – go there first. Spread the word to your friends about this topic, Catholic or not, whatever their thoughts about contraception, because this is a freedom of religion issue. The White House has a petition website where you can directly make your views known. Sign the petition at the White House Petition Site. You only have to register with your name and email address. Write to Your Local Newspaper Editorial or any way you can spread the word. Archbishop Timothy Dolan noted that ‎”The Amish do not carry health insurance. The government respects their principles. Christian Scientists want to heal by prayer alone, and the new health-care reform law respects that. Quakers and others object to killing even in wartime, and the government respects that principle for conscientious objectors. 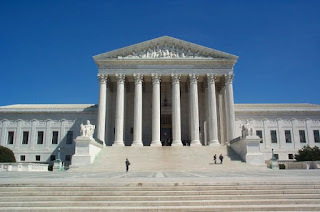 By its decision, the Obama administration has failed to show the same respect for the consciences of Catholics and others who object to treating pregnancy as a disease.” This injustice is not something that need solely concern the Catholic Church — if the federal government can force Catholics to act against their consciences, they can force anyone to act against their conscience, Jew, Muslim, Hindu, Buddhist and Atheist, and by the same pitiful reasoning. If you are still looking for good Christmas gifts for friends or family then here are some great ideas. My friend online, Catholic Book Lady and I came up with some gift recommendations. We tried picking books that had some good practicality to them, such as classics of the spiritual life, or that would be welcome to a friend, and then chose ones in all price ranges. You can find most of these at good Catholic bookstores, or the usual popular online ones. We are using links to the publisher so as to not favor one particular store. I know one popular online bookstore still has free shipping with $25+ orders until Monday and you’ll still get it before Christmas. These books are not in any particular order. #1 Catholic Scripture Study Bible – This is a very nice leather bible with lots of aids to bible study, maps, ribbons, and a whole apologetics section with a cheat sheet to aid you in finding Church teachings fast. #2 The Daily Roman Missal -The new translation of the Mass is here and this will be a great aid for you. Even if you are not able to attend daily Mass, you can still meditate on the day’s readings. If you have an old missal, it is still good for the readings of the day because they have not changed, but the rest of the Mass is different. This book covers every day, not just Sundays or weekdays, which I really like. 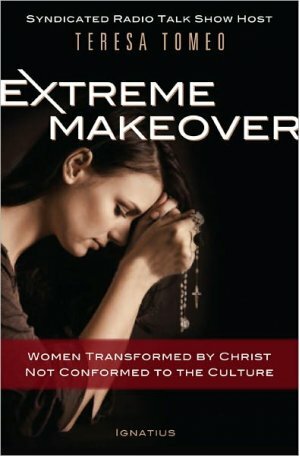 #3 Extreme Makeover: Women Transformed by Christ, Not Conformed to the Culture by Teresa Tomeo – This is a great book I highly recommend because it shows the lies and distortions the culture and the media tell about issues important today such as women’s body image, the feminist agenda and related issues. Teresa Tomeo then shows you how to overcome these distortions of our culture with a spiritual extreme makeover. I did a review of this book awhile back: You Need a Makeover. 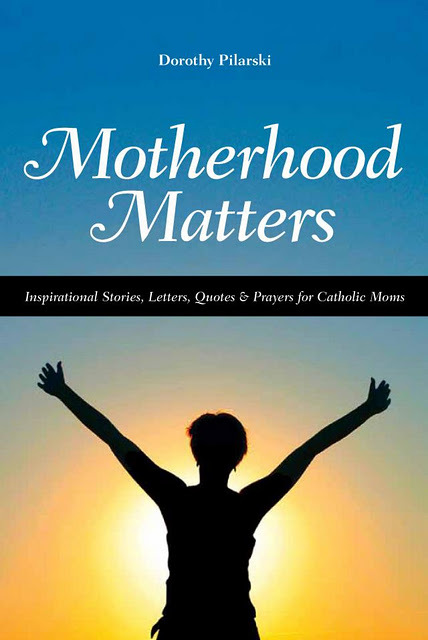 #4 Motherhood Matters – Inspirational Stories, Letters, Quotes & Prayers for Catholic Moms by Dorothy Pilarski. I’m partial to Dorothy because she’s a friend of mine and has worked so hard on this book. It questions whether the modern cultural version of motherhood is good for any of us, and encourages us to look at motherhood as a vocation. It is loaded with practical advice. She has a great set of endorsements from heavy hitters such as Alice Von Hildebrand, Lisa Hendey, Sr. Ann Shields and Donna-Marie Cooper O’Boyle. 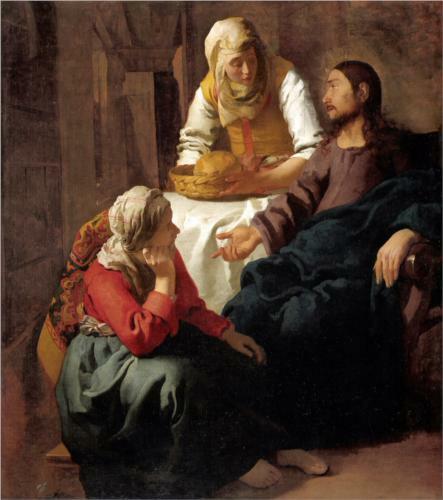 You can only obtain this book at Dorothy’s blog Gutsy Catholic Mom. Unfortunately, you will not get this before Christmas, BUT I suggest you print out a picture of the book and stick it in their stocking. It will be a Christmas gift they can enjoy later. It’s that good. 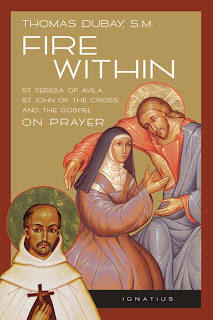 #5 The Fire Within: Teresa of Avila, John of the Cross and the Gospel on Prayer by Fr. Thomas Dubay, S.M. – This is one of the BEST books on the spiritual life there is. Fr. Dubay was a master spiritual director who gave decades of retreats to religious and lay people alike. He goes into depth here on the spirituality of St. Teresa of Avila and St. John of the Cross. The best part is he gives detail of each level of the spiritual life. St. Teresa was firm that one should know where one is going in one’s prayer life to progress in prayer without confusion and fear. This is a book to keep for life and refer to repeatedly. 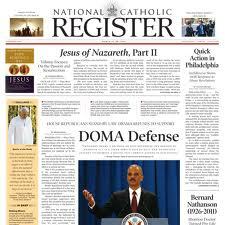 #6 National Catholic Register – This is not a book but an excellent newspaper. I happen to think it is the best one in the U.S., but that is just my personal opinion. It is now owned by EWTN and is very in depth. It is an excellent gift, and I encourage you to subscribe for yourself as well. You can get this in print, online or now on your Kindle. The Kindle version is $1.99/month, which is just phenomenal. 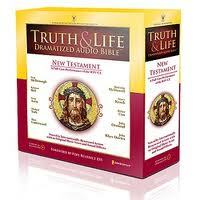 #7 The Truth & Life Dramatized Audio Bible – New Testament – This is just a fantastic gift. Listen to it in the car. It features fantastic actors such as Stacy Keach, Michael York and Blair Underwood and it’s amazingly produced. It uses the Revised Standard Version – Catholic Edition (RSV-CE) bible. I can’t say enough about it. 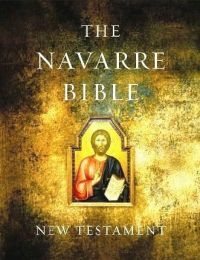 #8 The Navarre Bible New Testament – Expanded Edition – I have many volumes of the Navarre Bible, both for the New and Old Testaments. This is an expanded version with the whole New Testament and has more notes then previously published. I love the Navarre Bible because it is user friendly, very faithful, written for the laity, and is set up to really aid both Lectio Divina (prayerful reading) and serious Bible study. It uses the excellent RSV-CE translation of the Bible. #9 Praying Scripture for a Change: An Introduction to Lectio Divina by Dr. Tim Gray – I really enjoyed this small book about learning to pray with the scriptures. You can read my review that I did a few months ago, Quick Book Review: Praying Scripture for a Change. 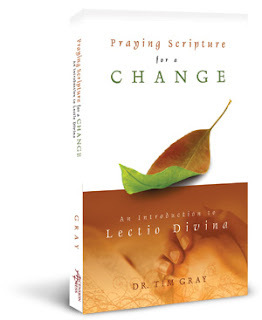 It would be a great gift for anyone who wants to learn about Lectio Divina or prayer in general. #10 Imitation of Christ by Thomas A’ Kempis – Thomas was a German monk who lived in the 1400’s. 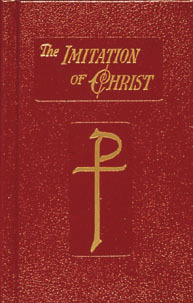 His book Imitation of Christ is the second best selling book in history, only surpassed by the Bible. It is a guide to the spiritual life and, even though it was written for religious, is extremely profitable for the laity. Every Christian should own a copy. This book is published by several publishers. I chose this particular volume, by Catholic Book Company, because it is inexpensive, but handsomely bound and is in hardcover. They also have a soft leather version with a zipper. It’s my opinion that if you own this book, it should be something that will last for life. There are paperbacks, but this is inexpensive enough at $8.75 that why would you want a paperback? Bonus Gift Recommendation! 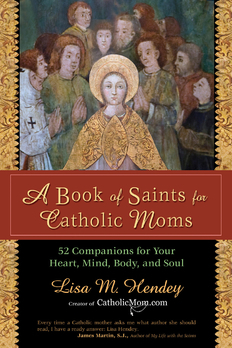 A Book of Saints for Catholic Moms by Lisa Hendey who is the founder of CatholicMom.com. This is last but not the least. We were trying to stick to 10 books but could not leave this one out! It is a great book that brings moms 52 different saints for a year of meditations, prayers, practical advice and wisdom. This is a great resource that any Catholic mom would love to have. More stuff! If you are interested in other good classics of the spiritual life then check out this article from the Catholic Spiritual Direction website: Tattered Titles – And the Winners Are…. It has more recommendations you may like to share with those you love. And if YOU have any great ideas please share them with us! Merry Christmas!!! !